Dean Fiore says a Dunlop Super2 Series round win at his home circuit Barbagallo Raceway is "right up there" with the Supercars podium he has to his name. The Western Australian, who raced full-time in the main game from 2008-13, took his maiden Super2 race and round wins on Sunday at the Perth SuperSprint. 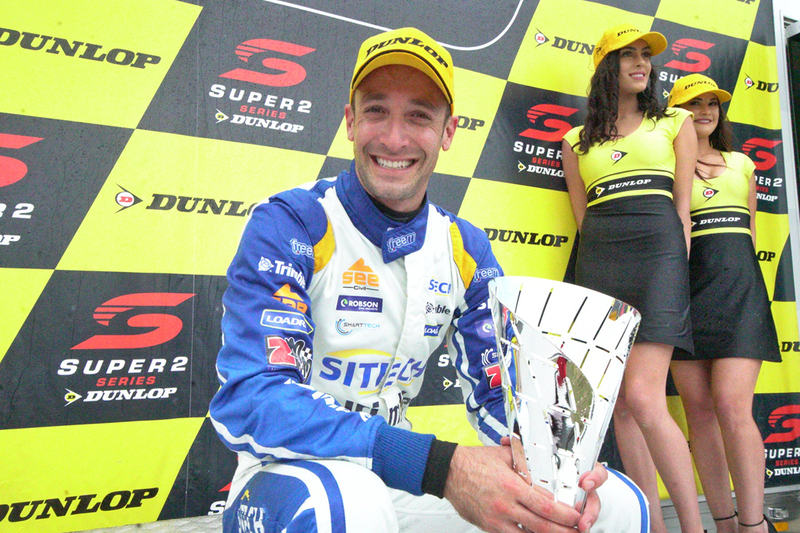 A PIRTEK Enduro Cup regular with Nissan Motorsport and Michael Caruso, Fiore’s sole Supercars podium came at the 2014 Gold Coast 600 with Caruso. Contesting the full Super2 Series for the first time in an MW Motorsport Nissan, Fiore finished second, 12th and first to win the round. A former Formula Ford and Porsche Carrera Cup full-timer, that became Fiore’s first triumph at home in a national category. 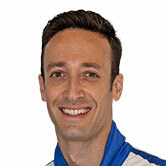 “It's right up there with the podium with Caruso at the Gold Coast 600,” Fiore said. “Super2 is super tough, it really is. If you're a little bit off you're nowhere, so even a top 10 in quali is not too bad, we can fight from there. “I’ve [won] before at state level, but never before at this level and I raced here with Matty White in 2014 and got a podium, that was great. “It's awesome, I've got so much support here, I know of people in business as well who are up in the corporate suite. “My family came out [on Saturday], it's disappointing that they weren't here [on Sunday], but it awesome that they were here. Fiore made two Super2 starts with MW Motorsport in 2014 and another with Image Racing two years later. From fifth on the grid in the final, which started after a brief rain shower, Fiore capitalised on mistakes by team-mate Alex Rullo and Chris Pither on the first racing lap. 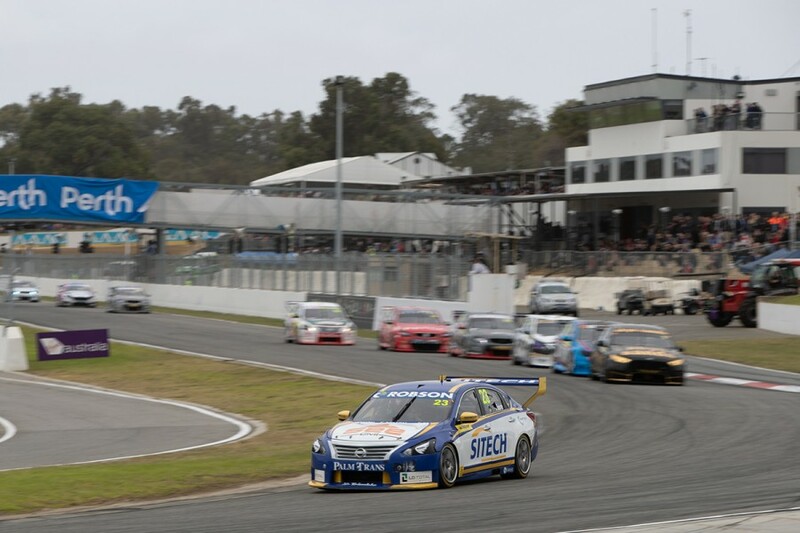 He then edged past series leader Paul Dumbrell and rookie polesitter Thomas Randle. 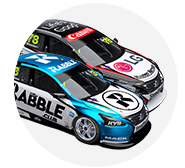 While Dumbrell then tried to pass Randle, Fiore cleared out to a four-second victory. “I had a bit of a battle in the races and I noticed clearly that if you were involved in a battle and the guy in front of you wasn't, the gap that they could pull really quickly was amazing,” Fiore said. After three rounds of the 2018 season, Fiore is ninth in the Super2 points, with team-mates Garry Jacobson and Rullo fifth and seventh. The fourth round will take place on the streets of Townsville, as part of the Watpac Townsville 400 on July 6-8.